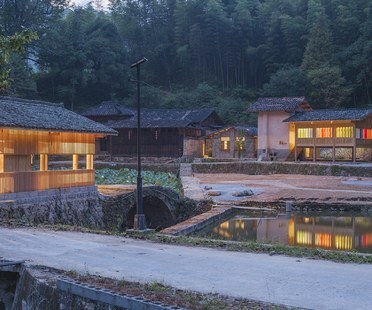 Chinese architects are showing new interest in rural life. 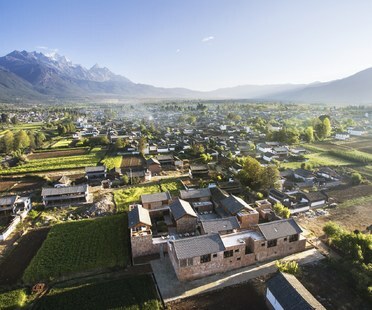 In the Shangping Village Regeneration project, He Wei revives village life by reclaiming ancient farming structures to stimulate an economy that can rely on more than just tourism. 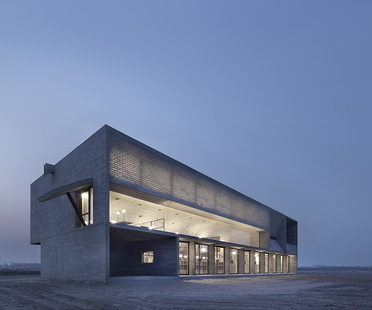 Atelier Zhang Lei designed Shitang Village Internet Conference Center, a public building for a growing community in Jiangning. 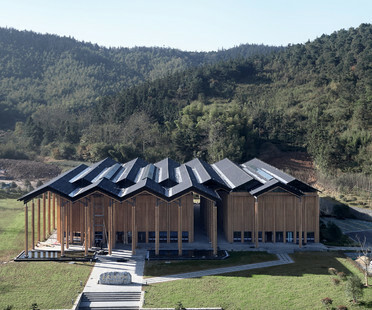 AZL Architects see the building as another instance of ruralation, the process of renewal of rural areas drawing on their history and traditions. 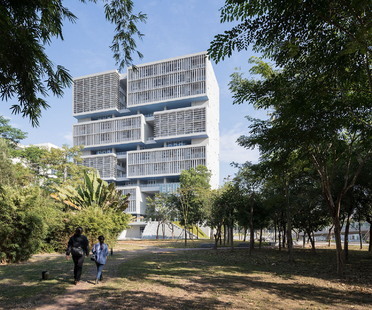 In Tsinghua Ocean Center in Shenzhen, Open Architecture has designed a symbolic building inspired by the sea, in which the model of the university campus with pavilions take the form of a broken-down asymmetrical tower which Open Architecture paints in all the colours of the abyss. AZL Architects have completed work on Nanjing Wanjing Garden Chapel in China, a project elaborating on the theme of the architectural façade as threshold, as the place where inside meets outside. 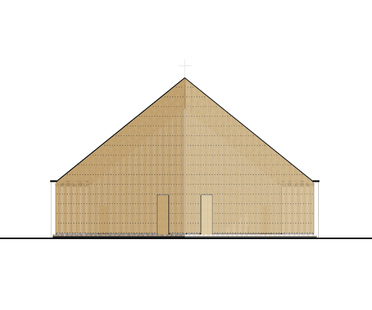 The extremely lightweight look AZL Architects have given the Nanjing Wanjing Garden Chapel makes it the perfect example of the new vocabulary of religious architecture today. Open Architecture’s new Geuha Youth and Cultural Center in Qinhuangdao (China) contemplates the relationship between architecture and education. The circular floor plan creates a series of open, flexible spaces facing onto a big inner garden. 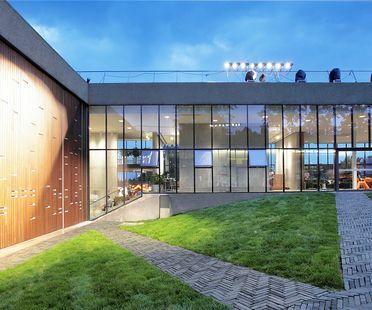 Passive energy-saving technologies guarantee the project’s sustainability.